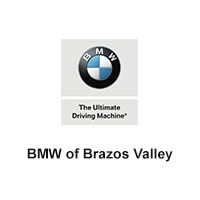 BMW of College Station is your resource for obtaining OEM compatible parts for BMWs. Our highly knowledgeable staff, coupled with our comprehensive inventory of high quality components, make our team a valuable tool for answering your parts inquiries. Should we not carry the part you’re looking, we will gladly order it for you and notify you immediately once it’s arrived. If you know the part number or are inquiring about a specific part, you can request more information about accessing our high quality stock. Our trained technicians will always strive to answer all your questions so your service matches the genuine, quality parts you’re receiving. We know how important it is for our customers to leave knowing all their questions have been answered. You can always come in person if you’re in the Byran, Texas Brazos Valley area. We proudly provide a wide array of services to the greater Houston, College Station, and Cypress areas.